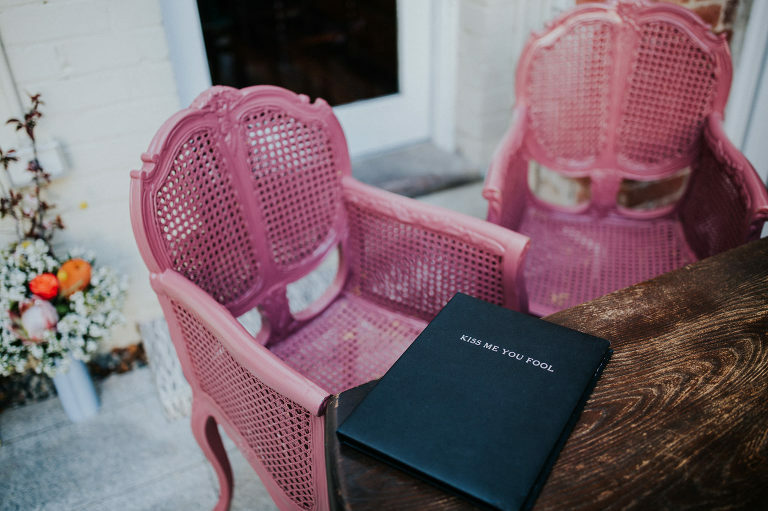 This week I got chatting to my favourite pocket rocket of a celebrant, Dilhari from Kiss Me You Fool about all things you need to know with booking a kickass celebrant and having a memorable hilarious and picture-perfect ceremony that your guests will WANT to listen to. For us, personalised vows was a must and I love reading them even now so make sure to let your photographer take a photo of them if you aren’t getting a video! Setting off confetti cannons got the celebrations going and everyone lively. We wanted our ceremony reasonably short but meaningful as we believe the ceremony is the important part, it’s the cornerstone of the marriage, the rest is the wedding part. 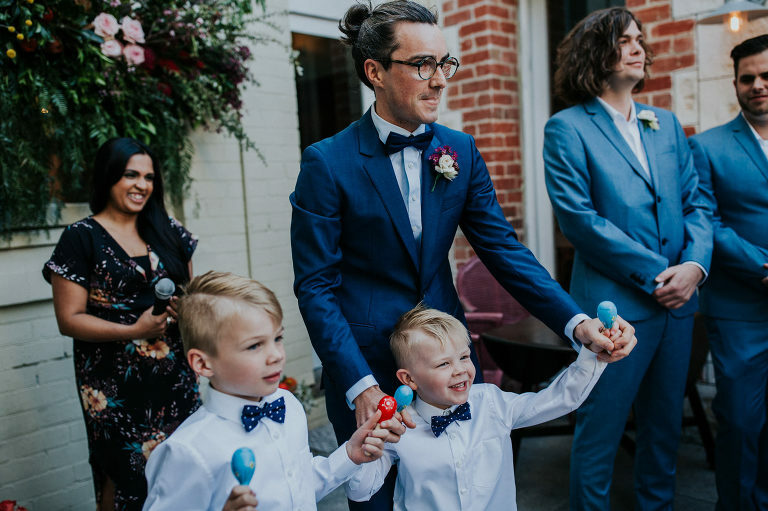 Most say they want to get the ceremony over with and get to the ‘fun’ part – but why not make your ceremony fun? 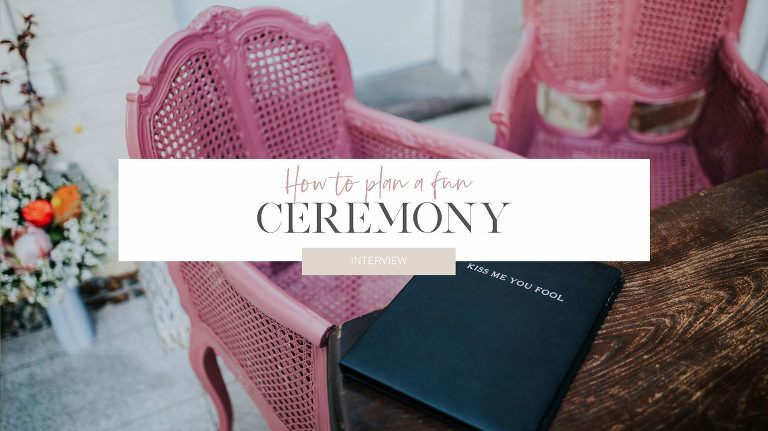 I think picking the right celebrant for you is a key to feeling relaxed and actually really enjoying your wedding ceremony, so go check out my faves Kiss Me You Fool and Married by Kristy and you won’t be sorry! Is there anything that a couple need to do before the wedding day? to your celebrant about your options. 5. HAVE AN UNFORGETTABLE WEDDING DAY. What is your favourite part of a wedding ceremony? matters is how they feel about each other, in that moment. It’s all those connections – they are mind blowing. 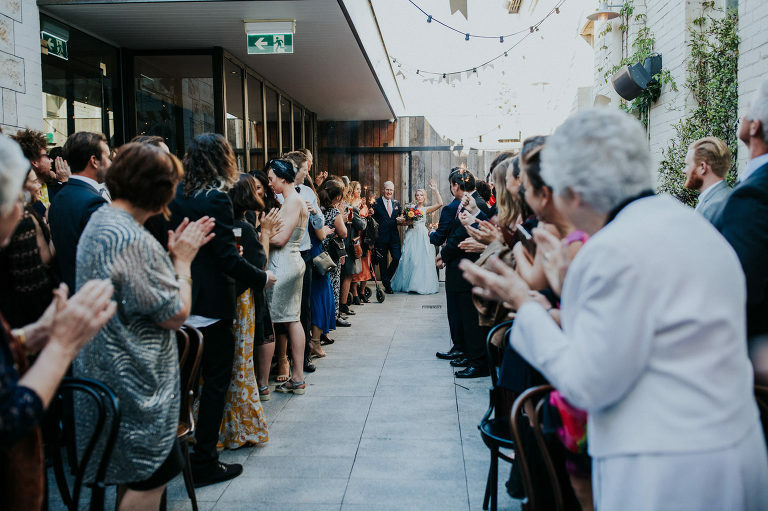 What are the legal requirements for a civil ceremony? present to witness that I take you, FULL NAME, to be my lawful wedded husband/wife. Everything else you want to include in your ceremony is COMPLETELY up to you. So, go nuts. Why not strut down the aisle to Bag Raiders while the guests wave sparklers? Do you have any tips for writing personalised vows? say to this person who is your world. thoughts from google; we’ve all heard it one to many times. Are there any things that can make couples feel more relaxed during the ceremony? What are some of your favourite things about being married? Any tips for getting through struggles? strengths, my weaknesses and he knows how to ensure that every single day, I live the best version of myself. of it and shares in all of it. Who I am matters to him. ride those choppy waves and come out of it stronger and with a greater appreciation for the team that you are. Do you have a particular memory from your wedding day that still stands out? rings, Douglas whipped out a pair of stunning Jimmy Choos. It made me realise that this man of mine, was just like me – someone who would never settle for the norm. I saw on her InstaStories that Dilahir got asked this the other day and found it hilarious… go check out her Instagram to see how gorgeous he is! I really love working with this girl so please go check her out!